Sayed Musa, 45, proudly opens the door of his greenhouse. A smile comes to his face as he points to the rows of plants holding tomatoes of every size. He never would have imagined that he would see this kind of harvest three times in a single year. Many of Musa’s fellow villagers have fled drought conditions, leaving for neighbouring provinces in search of water and food. He decided to stay, along with his nine children, to test out a simple, appropriate measure that has the potential to make a world of difference. 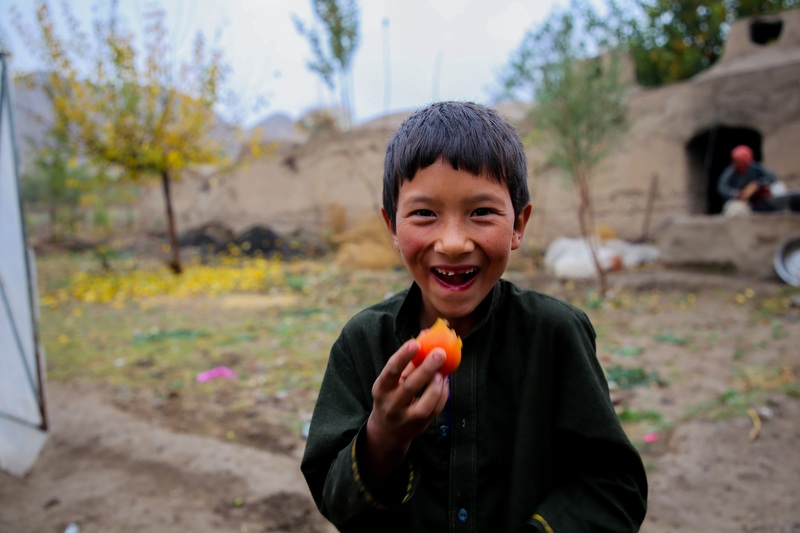 With funding from the Government of Australia, World Vision (WV) is working in remote communities in Badghis, Afghanistan to improve agricultural production through the introduction of high value greenhouse crops. Initially, Musa held similar views as his fellow farmers: that a greenhouse wouldn’t produce enough crops to justify the amount of money and work required to build and maintain the structure. But he took the risk and allocated a part of his land to a greenhouse. All participating farmers received the necessary training from WV to carry out greenhouse cultivation and product marketing. World Vision project staff established a simple, low-cost six-by-fifteen square metre greenhouse on a small area of Musa’s farm. The greenhouse is equipped with a drip irrigation system particularly suited to efficient water use in drought-prone areas. After all of the infrastructure had been established, Musa set out to apply the cultivation methods he had picked up in his training. Using seeds provided through the project, he sewed his tomatoes in June, approximately four to five months before first frost. He dug the seeds in with plenty of the compost he had gotten from WV and started his watering with the drip irrigation system. Musa germinated his seeds outside for seven days and then planted the seedlings inside of the greenhouse. After 55 days he started to see his first yields. “Tomato plants in a greenhouse yield six to seven times more than in an open field,” he says. “Last year I harvested 100 kilograms in one year on my land, earning around USD $35, but this year my yield was over six times more!” Musa was able to harvest an average of 25 to 30 kilograms of tomatoes in a week, which is a net of USD $400-500 annually. In order to raise awareness, the project held three field days, during which men and women farmers and government entities could learn about greenhouse vegetable production. The field days were used as a platform to disseminate successful practices and increase knowledge in the broader community about new methods of cultivation and irrigation. Especially important were demonstrations of water-efficient methods of crop production, of particular use in Badghis given the ongoing water crisis. The broader community also demonstrated an interest and commitment to adopting the use of greenhouse cultivation and drip irrigation, resulting in many visits to WV offices to inquire about better crop production practices. For context, over 250,000 residents of Badghis have been forced to leave their homes due to catastrophic drought, fleeing to neighbouring provinces in search of already-scarce resources. The number of drought-displaced persons in Afghanistan has eclipsed those who have fled for war and conflict-related reasons. Given this reality, it’s a small but potent miracle that something as simple as a greenhouse has allowed Musa and his family to hold on to their ancestral home in a time of such great uncertainty. With continued attention and additional funding, Afghans in drought-stricken regions have a fighting chance to reverse the displacement that has ravaged their communities.